Then choose the teams to be relegated, this thread will close when the season kicks off!! Welcome to the forum mate. Enjoy & post away. What makes you think Rowett can get your boys over the line? He had big money at Derby and failed. I've been impressed with his signings so far and seems to be saying all of the right things, but there are no guarantees in the championship it won't be easy. I wouldn't class his spell at Derby as a failure. I reckon he could have possibly done better with a younger squad. Surely you must be a fan of him, being a blue nose? I liked him at first. He does talk the good talk, but we finished tenth and tenth under his reign. He comes across as not really liking it when it gets hot in the kitchen. I am sure he will get you into the top six though. He has a good squad. I think I’d be quite happy with top 6 in all honesty. Be nice to just see a bit of fight back in the squad and hopefully win some games! How do you fancy Birmingham’s chances this season? I don't fancy our chances to be fair. I would take mid table in a heart beat. I do rate Garry Monk though so we will see. I hate them with every fibre of my being. Their fans are annoying, they have provided me with the worst footballing memories I will ever have and their city is a dump. 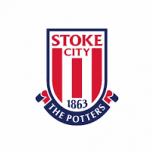 Unfortunately, though, Stoke are surely going to win the title this year. The retention of Joe Allen is a cracking bit of business and though it must go down as the strangest deal of the window, the loan of Benik Afobe will surely be a fruitful one. When you have strong additions, retention of a strong squad and the appointment of a manager of Gary Rowett’s calibre you have a team who must be considered Champions in waiting. What has Rowett actually achieved as a manager though? He has walked away from Birmingham and Derby when not being able to take them to the next level.